Can you hear the siren’s song, reflecting against the crystal clear emerald waters as the waves lap against the vessel — every shade of blue of the Aegean Sea is perfect in a country that thrives by water. I can hear it calling me as I am preparing for a journey, to discover hidden paradise along the Greek islands, some well known others waiting to be uncovered. I am preparing my sails as I am about to embark on a journey — sailing in Greece with Jack & Jenny! My bond with the sea has always been a special one and some of my fondest memories of growing up in Greece, was spending my summers exploring the secluded beaches along the coast of Antiparos and beyond. So who is Jack & Jenny? They are a group of four passionate individuals who came together after years of combined experience of sailing and exploring the Greek Archipelago to share their love for Greece and the mysteries of the sea. 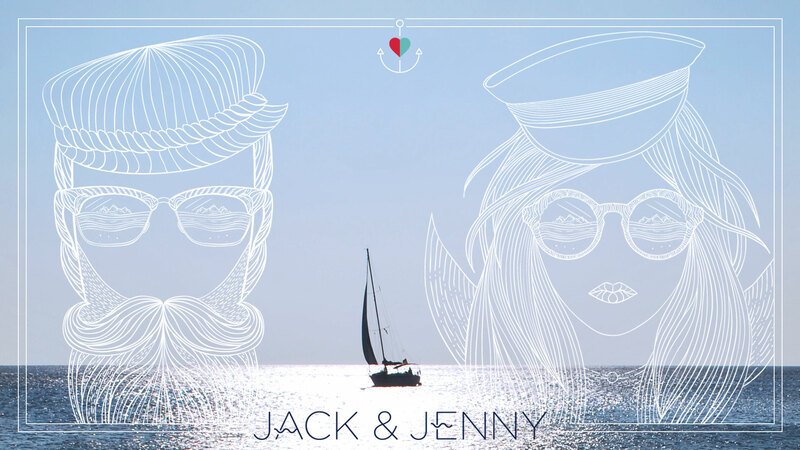 The concept of Jack & Jenny focuses on offering seven day sailing trips to discover the wonders of the Greek seas. Greek mythology dates back to centuries ago yet the myths continue to thrive in today’s modern society. A bridge between the past and present is always there reminding us that after all, dots are connected — and every second that makes up a minute, an hour, week, year, century all add up to what we can describe in a blink of a moment, a story which in the end is just a dash of time. I will be joining Jack & Jenny end of July on a miraculous journey which will take us on a seven day sailing trip to explore the ancient Greek mythology as we will set our sails from Mykonos and head towards a few of the Cyclades islands. Here is a sneak peak of my 7-day sailing itinerary and I am excited to follow the coastline paths of the ancient gods, dive into the mesmerizing Aegean Sea, witness magical sunsets and explore a few hidden gems of Greece. Our trip will begin and end on Mykonos. I recently spent a week on Mykonos in May and joined a day sailing trip which you can read about here — Mykonos on Board: Day trip to Delos and Rhenia. I am actually quite excited to find out what our hosts have in store for us for the first night on Mykonos. The Centre of the Cyclades archipelago, Delos is the mythological birthplace of Artemis and Apollo. Although I have passed by Delos on a sailing trip I have never stepped foot on this historical island. Our cruise includes a private tour by an English-speaking guide after which we will make our way towards a small uninhabited island, Despotiko. Sifnos has become a popular foodie destination as it is also home to a local chef Nicholas Tselementes, who wrote the first Greek book of recipes in 1910. Our day on the island will include a tour of the famous sights such as the Mycenean Acropolis of Agios Andreas, the 18th century monastery of Chrysopigi and the fort of Kastro. We will also enjoy an afternoon of swimming and barbecue under the stars on a remote bay of Fykiada. 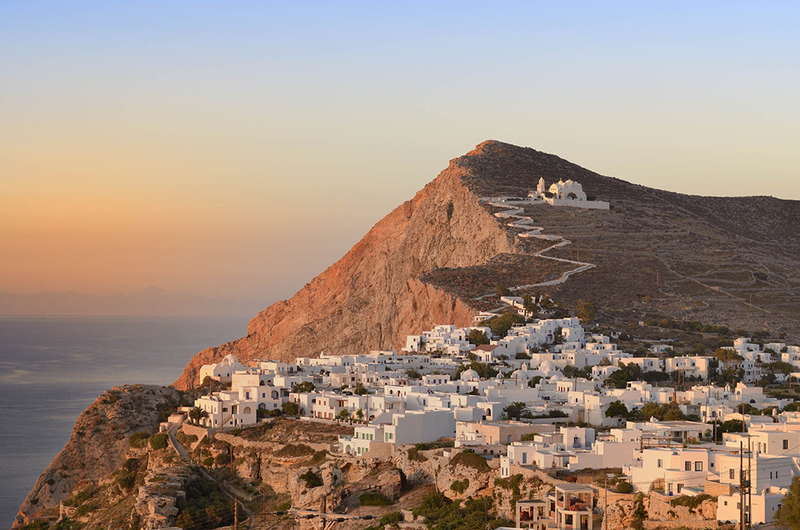 Over the years the island of Folegandros has gained the reputation of being the sister island of Santorini, yet more relaxed and laid back. We will be spending the day exploring Chora of Folegadros and the island’s picturesque beaches. The fifth day of our sailing trip itinerary includes a visit to Greece’s most romantic island Santorini. We will have the opportunity to explore the island, taste exquisite wine, cool off in the crystal clear waters, and watch one of the most remarkable sunsets. After a hearty breakfast onboard prepared by our hosts we will start our day with a private tour of the archaeological site of Akrotiri which was originally a Minoan settlement, later destroyed by a Theran eruption in 1627 BC. After the tour we will continue our journey to the island of Iraklia where we will have the opportunity to explore its seabed and marvel the underwater sight of a shipwreck of a German destroyer from World War II. The day will begin with a visit to Naxos where we will have the opportunity to swim and then head towards our last destination, the island of Rhenia which is located across from Delos. I did not swim here is May, thus I am excited to explore its inviting crystal blue waters. We will spend the night docked next to the island. In the morning we will return to Mykonos at around 11:00 and I can’t wait to share with you every step of our seven day sailing in Greece. Make sure to follow me on my Instagram account @passionforgreece for all the latest updates. The seven day sailing trip included the skipper, the sailing cruise which includes the services of a hostess who will be our person of the week to make sure that we have the best experience onboard and prepare all our meals. The trip includes breakfast, light lunch and dinner. To explore other sailing trips on offer, visit Jack & Jenny and plan the sailing trip of your dreams.